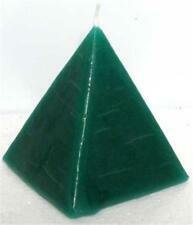 Green "DRAW MONEY" Pyramid Candle! 20-Stick Pack Hem Attracts Money Incense Sticks! ATTRACT RICHES Quick Spell Ritual Candle! Quick Spell Money Ritual Candle! 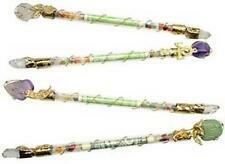 "Money" Wand with Quartz and Other Semi-Precious Stones! FAST LUCK Quick Spell Ritual Candle! WEALTH Organic Beeswax and Essential Oil Ritual Candle! Crystal Journey"s Pillar Candle "MONEY! 80-100 Burn time! 3x6" ABUNDANCE Reiki Charged Pillar Candle! Crystal Journey's "Money Draw" Charged Pillar Candle! Crystal Journey's "ABUNDANCE" Reiki Charged Pillar Ritual Candle! Coventry Creation's Blessed Herbal Prosperity Pillar Candle! LUCK AFFIRMATION Pillar Ritual Candle by Coventry Creations! One 8-Stick Box Hem Good Fortune Incense Sticks! 1 8-Stick Box Hem Good Luck Incense! Lailokens Awen's Organic Fast Money Ritual Oil! Abundance, Money, Gratitude Reiki Charged Votive Candle Combo! 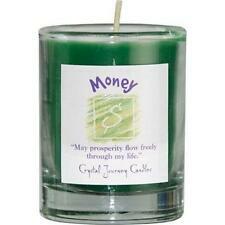 Crystal Journey Candle's "Money" Reiki Charged Votive Candle! 4dr Prosperity Oil for Rituals, Spells, Mojos! Two 8-Stick Boxes + Burner, Hem's "Attracts Money" Incense Sticks! One 8-Stick Box Hem Silver Rain Incense Sticks! Crystal Journey Candle's ABUNDANCE Reiki Charged Votive Candle! 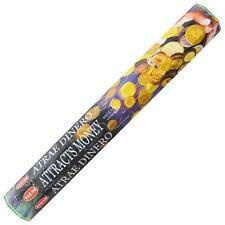 Cat's Magical Shoppe's "Prosperity" Altar Incense Sticks! Green Money Ink for Book of Shadows, Spellcasting, Ritual!